People generally go into a business because they have a dream to do what they enjoy and what they are good at. A business owner may be extremely proficient at their trade or profession, but the demands of the business mean they need to hone a whole new set of skills and knowledge to grow the business. The old saying “two heads are better than one” is directly applicable to business. Even the best entrepreneurs and business leaders use a mentor to challenge their initiatives and have a sounding board to bounce new ideas off. To get fit and stay fit you may use a Personal Trainer to help you set goals and achieve them. Kestrel Solutions is like having a Business Trainer to help you refine and develop your skills, set business goals and stay on track to achieve them. 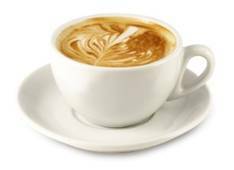 Let’s have a chat over a coffee to discuss how we can help you optimise your business performance. Just how is your business going? Do you know where your business is really at? Are your financial statements prepared just for the ATO, or do you use this information strategically? We check the financial position and operational performance against industry benchmarks to gauge performance. If there are issues or areas for improvement, we offer a detailed investigation of issues and causes and provide clear, achievable steps to get back on track. Phase 1: The first phase is a short, quick review of a business, looking at its financial position and performance, to identify the key issues that are affecting the company’s performance and viability. The review will assess the company’s financial position and its solvency, and will identify areas that require further investigations. Phase 2: The second more detailed phase will give you a thorough understanding of where you are Now and probe you on where you want to be. It will identify areas that you can capitalise on and those that will need adjusting to achieve your goals. From here you will have all the info you need for strategic planning. This is an organisation’s process of defining its strategy, or direction, and making decisions on allocating its resources to pursue this strategy. We make strategic planning practical and less complicated by providing the tools, processes and coaching to guide organisations of varying sizes across many industry sectors. Through a process of real-world diagnostic methods, a simple, relevant and achievable one page plan is designed and implemented to help you get there. Defining your Sustainable Competitive Advantage, Strategic SWOT Analysis and Strategic Planning provide the framework to achieve your strategic goals. This process has shown to be of great value to businesses seeking to grow their profits. Being a business owner can be lonely. Who can you vent your frustrations to? Who can help you set clear, strategic goals and keep you accountable to achieving them? Like Personal Trainers we train owners and staff to set and achieve business and personal goals by creating and implementing action plans and applying optimal business skills. It is very likely that there are inefficiencies and waste in your business — and it’s no one’s fault. Waste elimination can be one of the most effective ways to increase profitability in businesses, whether it is private sector, government or not-for-profit organisations. Studies have found that waste can be as much as 30% of the operating costs of a business. Imagine making a better profit without relying on increasing sales. If we don’t find our waste audit fee TEN-FOLD in potential cost savings – there is no fee ! We are able to identify causes of financial stress, devise strategies to turn under-performing businesses around and help owners, managers and others deliver improved financial performance. Is your business generating the amount of profit it should? Is it running as efficiently as you would like? Are you happy with the level of cash flow? What about your business keeps you awake at night? Our simple, proven method removes guesswork, provides analysis of current position and develops plans to achieve the best outcomes.